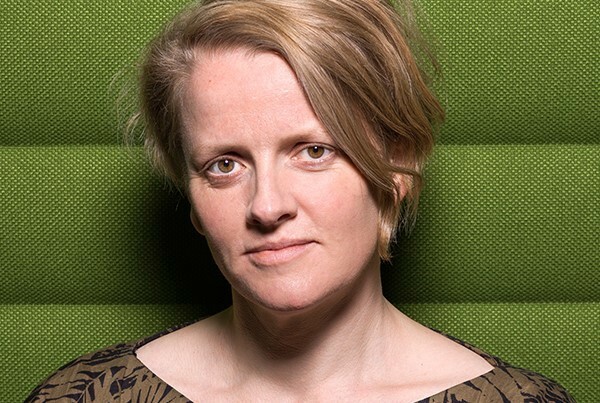 Felicity Callard, Professor in Social Science for Medical Humanities at Durham University, talks to The Human Mind Project’s Anna Hopkins about the joys and challenges of interdisciplinary projects, and her contribution to our #GrandChallenges17. Felicity Callard, Professor in Social Science for Medical Humanities. Hi Felicity. You’ve got a really interesting job title, Professor in Social Science for Medical Humanities. Can you tell me a bit about what you do, and what you’ve been working on? I’ve been working recently on two major projects. 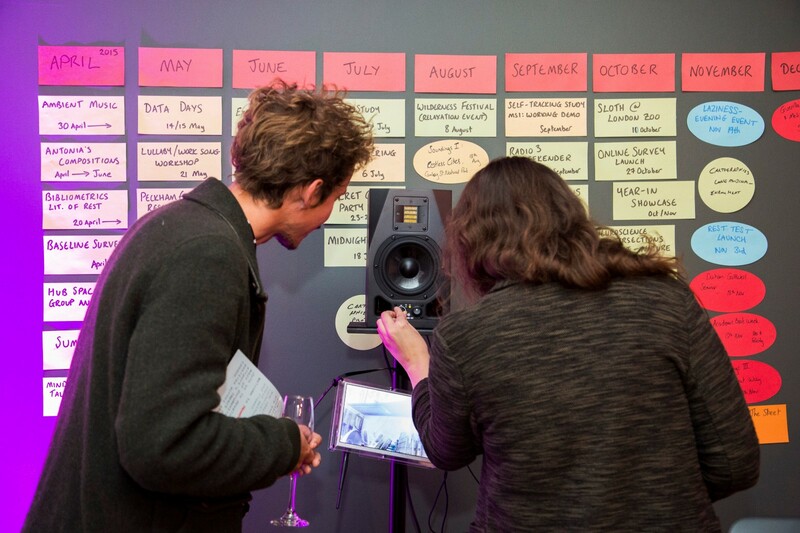 The first is Hubbub, a project based at Wellcome Collection that I directed, which has just come to an end. The second is Wandering Minds, a project at Durham University focused on interdisciplinary experiments on self-generated thought. Let’s start with Hubbub. The project was based at The Hub at Wellcome Collection and involved quite a big team. Hubbub was an exploration of rest and its opposites, across the spheres of mental health, cognitive neuroscience, the arts and the everyday. Our team was made up of people from the life sciences, social sciences, humanities and arts; there was a real commitment to starting from the perspective that the arts create knowledge just as rigorously as the sciences. We tried to get away from the idea of the arts simply ‘illustrating’ or ‘contextualising’ knowledge being produced elsewhere. We produced a number of artistic artefacts, as well as scientific and social scientific publications, and the project had several quite different aspects. We had a composer who was thinking through structures of rest and pause, exhaustion and breath, in music. Poetry, essays and performances explored how to capture rest in different genres. Then there were psychological investigations of rest, as well as neuroscientific explorations of the resting state (the brain at ‘rest’). And we explored the histories of practices of rest. There is a long history in the twentieth century of practices of relaxation, which has interesting intersections with the growth of mindfulness practice today. One of the common statements about doing interdisciplinary research is that it takes time. And it really does!… [S]ometimes, time is what allows the really interesting ideas to bubble to the surface. You were the Director of Hubbub until 2016 — what did your role involve? A lot of the joy and the challenge of a big interdisciplinary project is that there’s so much going on; my role was to try and facilitate people to move forwards together. You have lots of interesting conversations, and everyone’s very excited, but you have to work out how to allow people to take forward some of these brilliant ideas so that they don’t stay simply as a series of conversations. The Associate Directors of Hubbub were Claudia Hammond, a BBC broadcaster and writer, Charles Fernyhough a psychologist and author, and James Wilkes, a poet. Our work was to ensure that there was enough structure across the different elements of the project, because rest is such a broad and multifaceted topic. We had to make sure it didn’t completely fall in to being anything and everything, while at the same time creating enough flexibility that people were able to come up with new and exciting ideas which they hadn’t anticipated. Within my own research, I was looking at the history of daydreaming, mind-wandering and mindfulness — the mind at rest or unrest. Experiments with noise, Hubbub at The Hub at Wellcome Collection. It sounds like a fascinating and challenging project. Looking back, are there aspects of it that stand out to you, as a piece of collaborative work? One of the common statements about doing interdisciplinary research is that it takes time. And it really does! So much of it is about allowing people to get to know one another, to familiarise themselves with other ways of thinking, in order to allow a collaboration to develop. I think one of the real tensions was between trying not to rush things, to allow time to unfold, whilst knowing that we were only in Wellcome Collection for two years. Half of me wanted to say ‘Come on! Another 3 months have gone past!’ And then another part of me was thinking that actually, sometimes, time is what allows the really interesting ideas to bubble to the surface. Do you think your colleagues on the project also experienced this tension? My guess is that at times, yes. Hubbub was a project with a flexible skeleton; it was much less prescriptive than some projects are. It was an uncertain process, and that wasn’t always easy. We all had to feel our way in to what might be possible. I had lots of people say to me ‘What do you mean by rest?’ or ‘At the end of the project are we going to come up with an account of what rest is?’ That was a challenge for me; the way in which I work I usually try to open up more possibilities for people to think through a phenomenon, rather than produce one account. But for others, their working style perhaps sat more easily with something more defined. As collaborators, we set up different fora on which to reflect on the work we were doing. We brought in a facilitator to help us think through and elaborate our directions of travel, and help us be more aware of how we were making decisions collectively. We also had our funder’s process of evaluation, and lots of people talking to us and finding out how things were going. We wanted to open up conversations on the challenges of negotiating different levels of status across disciplines, on how emotionally exhausting interdisciplinary work can often be. It sounds like the structure of the project itself was something very consciously worked on, and that had to be attended to, because of its interdisciplinary nature? Yes. I don’t think all interdisciplinary projects need to be like this, but some really do. Some of us in the group were interested in studying interdisciplinarity as a thing in itself; we were writing about it, as well as doing it. 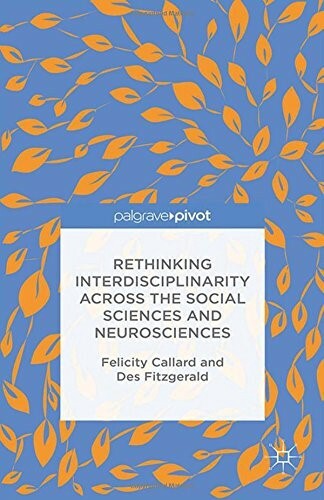 Yes, you co-authored an open access book in 2015 with Des Fitzgerald titled Rethinking Interdisciplinarity Across the Social Sciences and Neurosciences. What motivated you to write this book, was it related to your experience on interdisciplinary projects? The book started from the sense that despite the huge number of policy documents and significant grey literature, as well as widespread encouragement of interdisciplinary work, there were relatively few accounts of what interdisciplinary research and practice is like to live. There is often a shared sense among people who do interdisciplinary work that it’s actually really hard! Lots of things don’t work; there are lots of complex negotiations; misunderstandings that can end up jettisoning a project; we find that we carry false assumptions about other disciplines … Conversations about these difficulties seem to be going on at workshops during the coffee breaks, but a lot of the time they don’t seem to make it into the formal literature. We wanted to try and expand the ways in which interdisciplinarity could be talked about and thought about. In particular, we wanted to open up conversations on the challenges of negotiating different levels of status across disciplines, on how emotionally exhausting interdisciplinary work can often be, and all the strange ways in which different kinds of work are allocated in interdisciplinary projects. For example, who ends up doing the housework? What’s counted as the ‘real research work’ and what’s counted ‘infrastructural’? We wanted to make visible those things which are often hard to talk about. So, tell me a bit about the Wandering Minds project, which is an interdisciplinary project split across Durham University, Cardiff University, the University of York and the Max Planck Institute for Human Cognitive & Brain Sciences. This project has a more clearly articulated set of outcomes. It intersects with Hubbub, in the sense that we are exploring mind-wandering as a restful and unrestful activity of the mind. It brings together cognitive neuroscience, psychology, sociology, geography and history. The project starts from the assumption that any investigation of mind-wandering is incredibly difficult; our own experiences of mind-wandering can’t easily be shared with other people, and often not even with ourselves. Mind-wandering involves a loss of the normal sense of cognitive control that we have. So, the argument was that we would need the resources of a number of disciplines to think about the methods, tools and frameworks that might allow us to think through what mind-wandering is, and how we might study it empirically. How can we improve our methods for dealing with ‘introspective data’, and with the intersubjective relations installed in most psychological experiments? In the course of the project so far, have you managed to reach a shared definition of what mind-wandering is? We’re now at the point in the project where we have several distinct sets of data that are being coded separately from one another — long-form qualitative interviews, psychological data, neuroanatomical data. The hope is that we can find a way of trying to relate the different sets to one another. This hasn’t yet happened, but the work of thinking through what that kind of integration would mean is really fascinating! The social science side of the project that I’m involved in is now engaging with lots of psychological literature and thinking about how our data might fit in with, enrich or challenge certain psychological models. The work we’re doing also aims to understand the intersubjective nature of an experimental situation in which research participants share their own private experiences of mind-wandering with the researcher. We’re indebted to people like Chris Frith, Andreas Roepstorff, and others, who have demonstrated the complexity of the experimental situation, as well as to the work of historians of psychology like Jill Morawski. The project’s post-doc Hazel Morrison has been working on ways of asking questions that help elaborate a shared understanding, through conversation in the interview, of how participants understand what they are supposed to be reporting on. So we are trying to build into the experiment the research participant’s own notion of what mind-wandering is, in the context of the experimental situation, as they produce and give data about this mental phenomenon. [T]here is now huge opportunity in terms of finding better methods to elicit and represent people’s conscious experiences… We need lots of people working together across disciplinary boundaries to make progress. Your contribution to our Grand Challenges public consultation touched on this area of interdisciplinary methodology. Can you tell me what your Grand Challenge question was, and why you chose it? One of the questions I gave was ‘how can we improve our methods for dealing with ‘introspective data’, and with the intersubjective relations installed in most psychological experiments?’ There’s growing recognition of the fact that in order to more fully understand the mind, we need to become better at understanding the texture of conscious experience. Introspection and introspective methods have been given a bad name, so it’s taken a while for the brain and mind sciences to acknowledge the need for people in experiments to give accounts of what they are experiencing. Simply recording data on how the experimental subject responds to a task doesn’t necessarily get you that far in understanding what the characteristics of an experience are, from the point of view of the experimental subject. I think there is now huge opportunity in terms of finding better methods to elicit and represent people’s conscious experiences. This is of course an unbelievably complex philosophical problem, as well as a social scientific and psychological one. We need lots of people working together across disciplinary boundaries to make progress. 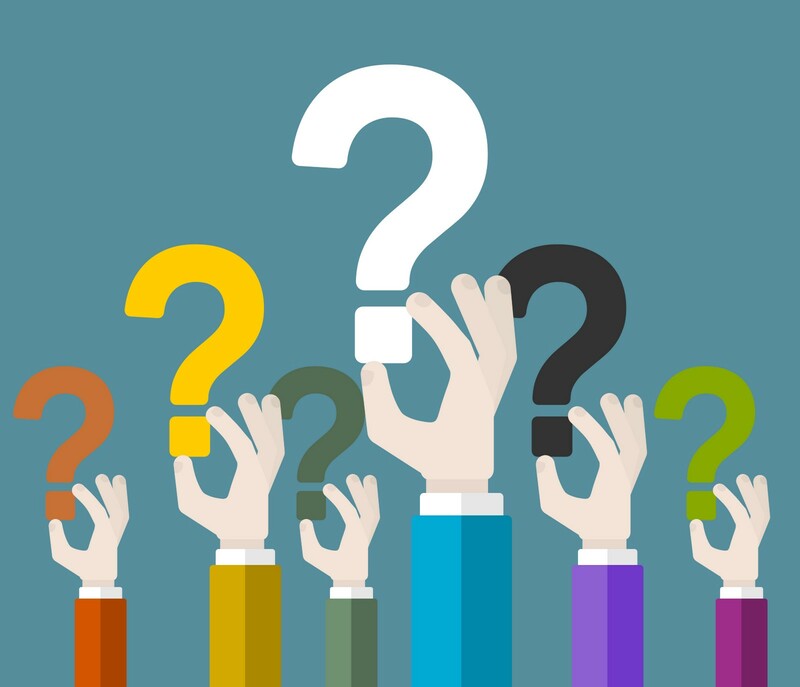 The Human Mind Project Q&A Series is part of our Grand Challenges, an attempt to explore the future of the research on the mind in order to identify new areas for research and novel interdisciplinary funding styles. For more information, read this blog post and take part in our Public Consultation here. Follow #HumanMindProject @HumanMindDebate on Twitter for updates on the Project and our Q&A Series. We faciliate interdisciplinary dialogue and debate on the human mind. Join us in identifying the key questions for future research on the mind.